A lot of people travel to Cinque Terre especially to hike the amazing paths that you can find here. So this weekend I choose to talk about the most beautiful Hiking Trails in the 5 villages. This is my opinion 🙂 you are free to share and suggest your experiences! 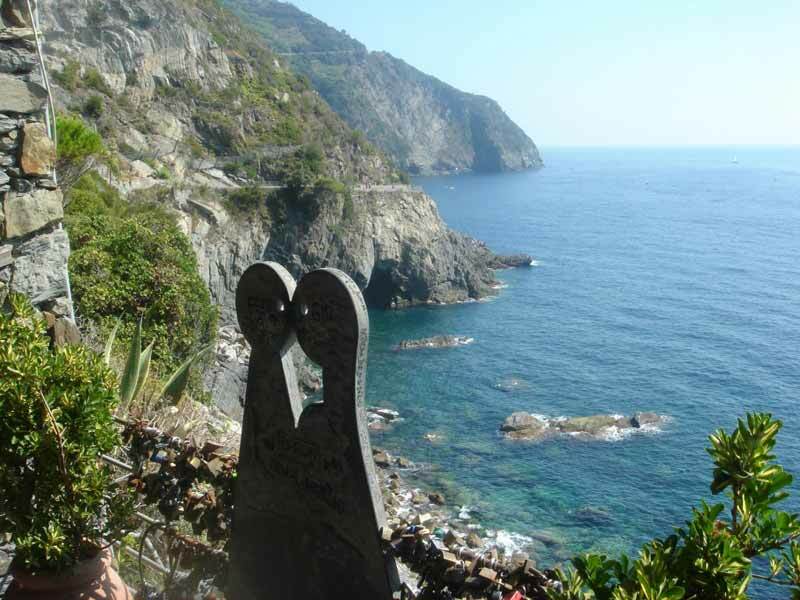 The Via dell’Amore or also known by Native English Speakers as the Way of Love, it’s the seafront path that connects Monterosso al Mare to Riomaggiore. From here you can enjoy amazing panoramic views like the picture, with your lovely partner. 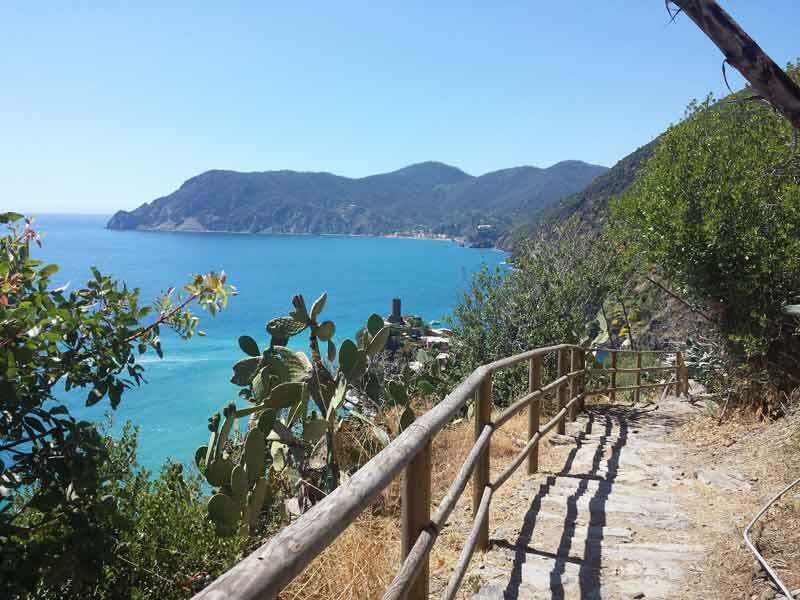 The itinerary is easy to walk because it has a paved street with railing, but unfortunately since 2012 due to a landslide you can walk only a small part (From Manarola Train Station to the Bar). 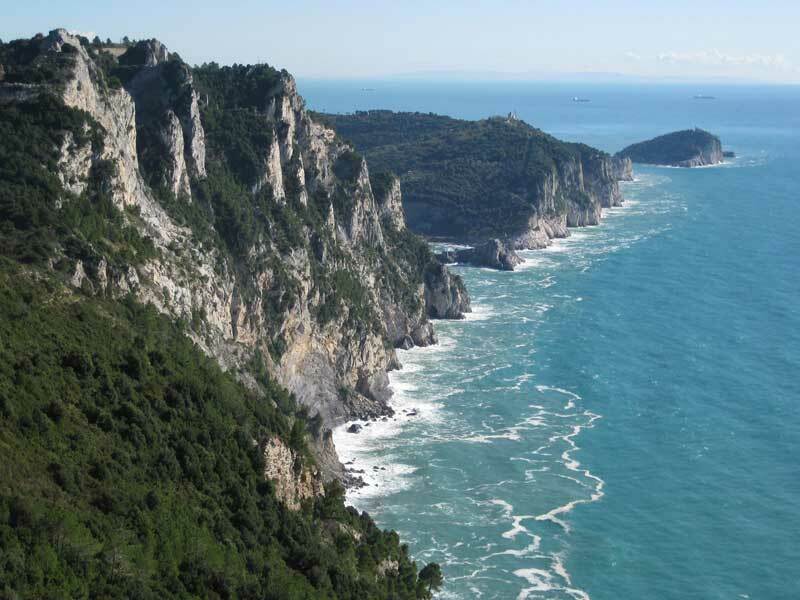 It’s the classic and the most famous trail to walk if you are planning to hike in Cinque Terre. The route, with its 12 kilometers (about 7 miles), connect the 5 villages. In the ancient times was the only way of communication for the people were living in this wonderful 5 hidden gems. The track is hardest than the Via dell’Amore but it worthwhile if you want to take awesome photos and watch stunning views. Surfing the web I’ve found this beautiful documentary about Sentiero Azzurro, where you will not see only the beautiful landscapes of Cinque Terre, but you can go more deeply, discovering the culture and meeting the local people. And here you can find additional information about the different routes that compose the Sentiero Azzuro. 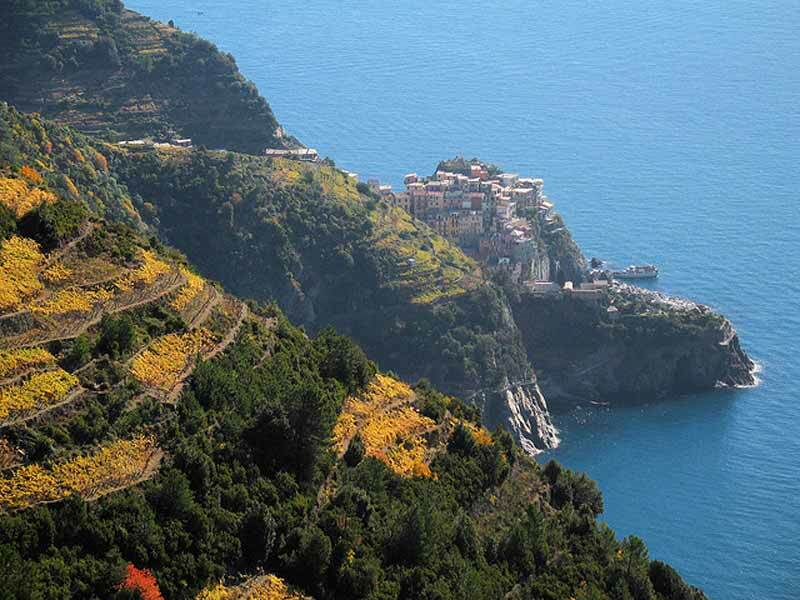 The Terraces Vineyards trail is an itinerary that starts in Riomaggiore to end in Corniglia, the characteristic village placed in a promontory. You can walk in the lovely terraced vineyards and olive trees, relishing the different panoramas where you can watch both the beauty of the sea and the green of the Mediterranean Basin, with color contrasts created by the flora. If you are a wine lover I really suggest to read the interesting article “Wines from Liguria, Italy” and “Cinque Terre Wines“, where you can discover more about the tasted Ligurian wines, like the famous Sciacchetrà Wine.